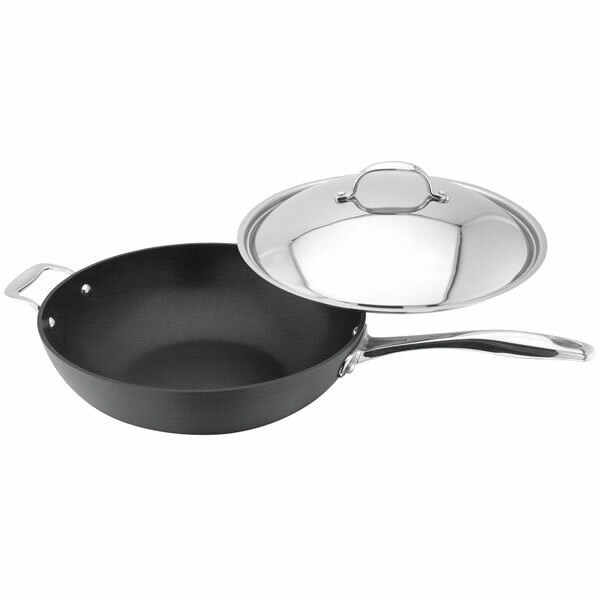 The Stellar Hard Anodised 30CM Wok with Lid is constructed using heave guage non-stick hard anodised cookware. 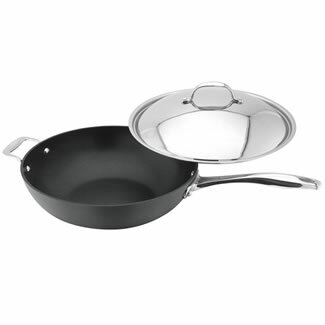 The base distributes quick and even heat distribution and has a Teflon Platnium Pro non-stick surface for ease of use and cleaning. It is built using cast stainless steel with ergonomically designed handles. Comes with a lifetime hard anodised guarantee. Dishwasher Safe. Wok is suitable for solid plate, radiant, halogen, ceramic, gas hobs. Hard anodised cookware is unsuitable for induction hobs. Please allow up to 14 days for Delivery in some exceptional cases.